So every year about this time, my heart goes deeply back to my roots of the NY Theatre scene. For it was the NY Theatre scene that, in essence, readied me for a career I am now in, fund-raising. True, I wear a few hats, but at the end of the day fund-raising for the Diabetes Research Institute, to help find a cure for my two kids and the millions like them fighting diabetes is my end game. My Goal. My Passion. But back when, living in a care-free world, my life was the Theatre. My family was very young and there was no diabetes. Nancy Cassaro, one of the creators and stars of the New York smash hit, Tony ‘n Tina’s Wedding, came to me and said we have been invited to partake in the Broadway Cares Equity Fights Aids Easter Bonnet Production. Back then, the event was in its infancy. But it was a good, no….a great, idea. Broadway shows competing with skits, an Easter Bonnet, and fund-raising to help those battling aids. I knew quite a few people who lost this battle and those who live with it, still. So being involved way back when was a passion but with a huge amount of work and great fun. And there have always been pretty big names involved in this event over the years. Pictured are Babe Neuwirth, Nathan Lane, and Catherine Zeta-Jones from the 2010 event. For six weeks, shows in New York and on tour raise money with everything from signed posters, meet-and-greets with the cast (including some big names), signed memorabilia, live on-stage auctions, and of course the ever-famous bucket collections at the end of each show. In the short time since its inception, The Easter Bonnet Competition has raised over 87 million dollars with their efforts. So way back when, again, Nancy asked me to come up with fund-raising ideas. And working with the cast, we came up with some really fun ideas. In the genre of our show (a wedding, but not really) we created a telethon, but not a real one. Right after our show was over on Sunday, we changed our space into the telethon TV studio. So much detail right down to a phone bank with phones ringing on a recorded loop so all through the night phones were heard ringing. We created hours and hours of entertainment, including a TV camera for ‘broadcast’; and all-night long people paid to come in and watch whatever it was we were doing—-even in the wee hours. It was crazy, it was original, it was exhausting and it was one of the most rewarding nights of my life. This was our big fund-raiser and we also did bucket collections after each night of our actual show. When it was time for the big Easter Bonnet competition—ours of course was a huge wedding cake-bonnet, being onstage with all famous Broadway folk, well it was cloud nine. So it has been 30 years since we did that, and I was a mere 31 years of age. The Broadway community continues their efforts and now of course, they raise millions each year and this year (today in fact) alone was over 6.5 million dollars compared to the couple hundred thousand raised, when we did it. This year, my dear friend Billy was director, a writer, and a designer of one of the bonnets. So many times we hear people trying to come up with new ideas to raise money for causes. It’s just so impossible, right. But yet, years ago, our little show was up against all the Broadway mega shows like Les Miz, Cats, Phantom and many more. But we had a good idea and good people coming together for a cause we believed in and when the money was counted that year, Tony ‘n Tina’s Wedding was one of top fundraising shows of the Easter Bonnet Competition. A few days after the event, we were back at the theatre, or ‘ the space’ as we called it, and Nancy came in and she gave me a package. She said, “you deserve this”. Puzzled, I opened the package and it was the award they gave her for our fundraising efforts. I was humbled but so proud and the feeling was just incredible. I will never forget that feeling. Years later, I would enter the fundraising world. Kaitlyn would be diagnosed with t1d and my energy would go toward finding a cure. I dream about that day. I do believe with all my heart that we will get there. And that award would be a million times more than what I felt when I first received that Easter Bonnet Competition Award…….but my next award will be a cure. No award, no frame, no trophy……..just a cure. And the curtain will close on diabetes. This was the second part of the hearing from last week, you can read my article from last week by clicking this link. I finished watching the hearings and to be honest, I placed my hands on my face and screamed until tears flowed down my cheeks. Literally. My stomach hurt. My head hurt. The witnesses, who were sworn in under oath and all waived the rights to legal counsel, were from Insulin companies: Lilly, Sanofi, and Novo and PBM (Plans Benefit Manager)s represented were CVS Health, Express Scripts, and OptumRx. These are the giants among the giants in all insulin supply and pricing. The names of the individuals matter little in the scheme of things but know they were all from the hierarchy of these companies and spoke on their behalf. I will be referring to the company name just to try to make this a tad easier to follow. Chairwoman Congresswoman Diane DeGette (a mom to a daughter with T1D) relayed a heartfelt opening reminding the witnesses that the Committee heard heart-wrenching stories the week before from witnesses whose theme was universal; The present system in pricing of insulin is opaque, non-transparent, and no longer represent the patients best interests. She further challenged that the goal was not to unjustly blame but rather, what can be done to fix the current situation. I think we might get further if we were to just blame. It was clear that the line in the sand had the insulin companies on one side and the PBMs on the other. I listened as each one stated their case so matter-of-factly, as if this is the way it must be. There is a ‘formulary’ (the list of medicines) that is presently in place by the PBMs. Rebates, discounts are all based on these ‘formularies’. (I wish these people could have heard themselves talk). Depending on what discounts and rebates are given in these ‘formularies’ dictate the price you pay for your insulin. A generic insulin cannot be introduced because it would throw off the ‘formulary’ that is now in place. In a nutshell (according to the manufacturers), manufacturers cannot add lower priced insulin to the market because the PBMs will not allow those insulin prices to be included in the existing ‘formularies’. The PBMs stated that it’s the system in place that prevents them from doing anything. Congressman Walden from Oregon asked the Insulin Companies if generic insulin was being prevented being part of the ‘formularies’ as a decision made by the PBMs? The answer was, ‘Yes’, from the insulin companies. Dizzy yet……yeah, me too. It was like watching the Who’s on First routine. (click the link to see it, for what it was supposed to be back then, it was very, very funny) The routine made famous by Abbot and Costello that no matter how much is said, you end up right back in the same place……………………..not fully understanding anything. That describes what I saw. And yet, all six representatives touted what incredible discounts the patients were given and how much they had done for those who were in need. This created a stir and responses like the one from Congresswoman Schakovsky from Illinois who chastised all of them because giving the ‘breaks’ they all stated allowed each companies tax incentives for doing it. Loudly she stated, “Tell me I’m wrong!! !” No one spoke up. During the hearings, probably the most troubling statement came from the representative from Novo Nordisc who stated that the ‘formularies’ in place were the way for each insulin company to reach the masses, we cannot put that in jeopardy. I guess from a business standpoint, sure, but what about the patient?…….they live in jeopardy constantly. Congressman Tonka from New York asked a series of questions to be answered yes or no. The reasoning given by all six on what could and could not be done to alleviate this problem, or the lack of an answer therein, was nauseating time and time again. Leaning on the way ‘things have been done’ as the reason for not doing anything to change the problem today was frightening at best. And after almost three hours, the hearing came to an end. I’ll wait until next week and I will reach out to Congresswoman Degette’s office and ask her the exact question that anyone who watched today’s hearings would find themselves asking…………………What in heaven’s name is the next step? Our Congressional Leaders have been incredible thus far. Let’s hope it’s the start of the change. As one person noted, this mess has indeed created the one thing Washington has been seeking for over two years……. a nonpartisan discussion. That’s just fine, but did it have to be at the cost of members from our diabetes community and their very lives? More will follow…………………bet on it! If you have any feeling whatsoever about the ongoing problem of the cost of Insulin, you must find a few hours to sit and watch Priced Out of a Life Saving Drug: the Human Impact of Rising Insulin Costs which was a Subcommittee on Oversight and Investigation of the Energy & Commerce Committee held on Tuesday, April 2nd. It was riveting, engaging, informative, and I was left in tears, literally tears, at the brilliance and well-spoken representatives speaking on behalf of our diabetes community. I honestly do not have the names of all of them but the ones who spoke the most; Dr. Cefalu from the American Diabetes Association, Dr. Kowalski from the JDRF, Christel Marchano-Aprigliano from DPAC; and there were others, Doctors, Patients, and people who understand living with diabetes in a world of increasing costs of Insulin; were nothing short of a very loud unified voice of reason mixed with a huge dose of reality. Virtually every member of Congress attending this meeting came with the statistics about their home area. They were ready to state the problems of what they were hearing ‘back home’ but as one watched the hearings continue something happened. Something rare and extremely wonderful happened. Very early on in the proceedings, The Committee was not so interested in stating what little they knew about diabetes in their own state anymore, they stopped; they listened. They had willingly become the students. And our diabetes teachers were nothing short of brilliant in their lesson plan, Because their teacher……..was life. Because every one who was up there representing…..well……us, who have or have a loved one with diabetes, via statistics, facts, personal stories, and representing thousands of other voices, rang true in the ears of our congressional leaders…….there is a problem, a big problem. Hear us. And I do believe Congress did. Looking for transparency to understand where in the financing-chain is the mechanism to make sure that these ‘savings’ will get to the patient is just a step in the direction needed to be taken. It’s not a single entity’s fault nor is there a simple solution. Individual after individual pounded away as a boxer does with their opponent on the ropes, emphasizing that congress needs to be involved to change these parameters, that people are dying because they cannot afford insulin, or that they are dying while rationing insulin use. Our speakers came with facts, figures, studies, and real life stories of what we all know already. Each and every testimony from the invited panel painted a vivid picture for our congressional leaders to understand. 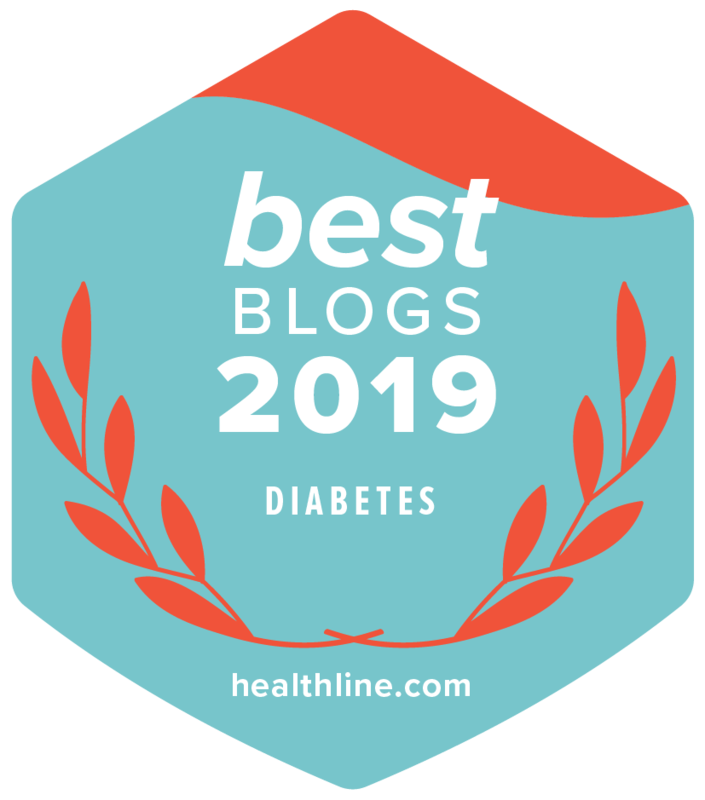 The Members of Congress were left with their mouths open, their minds open, and they, in turn, emphatically thanked each invited guest from our diabetes community. They were not there from just the JDRF or the ADA or the Patient Advocacy Coalition; as I have never heard them before–they were there on Capitol Hill for you, for me, for us. Next week, this same committee has summoned the 3 main insulin manufacturers and the 3 PBMs (Plans Benefit Mangers) making up 80% of the proceeds to come to Capitol Hill and explain their point of view. April 2nd 2019 may very well be the date to remember when the problem of the cost of insulin made it to Capitol Hill and Congress listened, and Congress acted. Time will surely tell but holy wow, was I so proud of those who went up the Hill with one loud, unison voice of change. Bravo to all of you and humbly, we thank each of you. Anxiously we will await next week’s hearings. I spend a great deal of time getting in and out of machinery that when, or should, they malfunction the results are usually disastrous. But still, it’s not uncommon to see me getting in or out of an automobile or doing the same with an airplane. I’m a guy who plays averages and I figure the deck is stacked in my favor to complete any trip. Of late, I have read people sharing very horrifying stories with various diabetes management tools. Leaks, malfunctions, kinked tubing, site pulls, transmitter malfunctions, and just about any other such mishap that causes management tools to not operate as they should, as is expected, as is anticipated. As my flight times increased, I did a good deal of research to find out what turbulence means, what makes a plane stall, how safe am I? I was pleased to find out that chances are pretty good that I will get from one place to the other, safely. In fact chances are very good in my favor. How much are you influenced when you read about some of the amazing diabetes management tools and their ability to malfunction? Step number one, as in getting behind the wheel of a car, know that what you are dealing with is a machine. A good, perhaps great, machine; but a machine none-the-less. Machines need to be taken care of with maintenance and good care and in most cases optimum results will be the result. But machines can also breakdown. Be ready for these times. In doing my homework about traffic safety, I learned that over the last decade (as per the Institute of Insurance Safety) about 35,000 people die on average on the US roads annually and of the top six major causes, 4 were completely preventable. Speeding, drunk driving, distraction, and cell phones top the list so avoiding those should make my trip that much safer. The point is this. I’m always going to get in my car. I’m always going to get in an airplane. I know the facts and the facts are in my favor. Know this about ‘THAT’ device you are looking at for your child. Do your homework, know the pitfalls, know the risks. At the end of the day, it’s still easier to fly to the west coast than walk. My guess is that there are many great diabetes management tools available to help get through the day. Recently I had knee surgery, I will have more upcoming and at the end of the day, and rehab, it will be a very good thing. As I spoke to my Doctor on my follow-up visit he said something which has resonated in my mind since he said it. He said that they had cleaned up my knee and the area where arthritis was present, they did the best they could because arthritis is the absence of something that cannot be put back. The absence of something that cannot be put back. On this day ten years ago, we lost my dad. My dad was bigger than life in so many ways and he was surely not without issues…….but hey, aren’t we all? The journey of life includes a pathway of sorrow saying goodbye to so many we have loved. Some too soon, well I guess all sooner than we want. Sometimes we are shocked, sometimes when they pass and someone says, “I hope you find peace”, the fact they have been taken is the peace needed. Death has so many different shapes in our lives. As is said, it is part of living. But it always leaves a mark of pain, doesn’t it? On one hand, ten years passed very quickly. On another, much, much has happened that Grandpa Honey has missed. The void of someone who was once here is a sad notion to dwell upon, so we try not to but it is very important to remember who they are, who they were, and the life-long lessons they passed on to us. My dad was huge with Little League. He was the Little League Commissioner in Hempstead, New York, where we grew up. Every year was the awards dinner at the end of the year and one year a mom and her son came to the dinner and there was confusion as the mom thought the kids were free and just the parents paid. In the hustle and bustle of all that happens at the onset of an event, signals were crossed, and the single mom was told that they both had to pay. Word got back to my dad at the end of the night that she turned to her son and said “It is important that you are here, I will pick you up later”. And she went home because they did not have the money for both of them to attend. When my dad heard about the series of events, he was livid. “How could we say we are a community and yet turn a mom away from her son’s big night”. And here is where it became very interesting, dad took on the entire event as ‘his fault’. Not because it was, not because he could not find out how it happened, but because it did happen and he should have made it his business to not only know, but make the correct decision and allow this single mom to attend. It was the few times in my life, I saw my dad cry. He made it his business to make sure that the family never paid for a Little League Registration, a dinner, a uniform, or anything else ever again while he was Commissioner, which was for years. It was here that I learned a lesson that I have phrased and that many have heard me say many times, “It’s not about the money and if it ever becomes only about money, I’m gone”. It was one of thousands of lessons where I was the student and my dad, the teacher. I miss my dad. He was a wise man. He taught us all many lessons in life, for life, about life Lesson of the day; love those you love, and show them and tell them…….and often; because without them will be the absence of something that can never be put back. Have you ever had a defining moment in your life? Something happened and at that instant you knew that things would never be the same. Tragedy, or the diagnosis of a loved one with something that will change ones life forever comes to mind pretty quickly I’m sure. But when not a tragedy but, rather, a calling. Something happens that you are so sure of what it is and that it becomes the loudest voice you ever heard? Over the years, many people have asked me when I decided to be an actor. Well the first calling, for sure, was in High School when I was in Godspell. Performing in it, seeing it on the New York stage, and in the movies, reaffirmed my new-found love for the theatre. But the defining moment that this ‘acting thing’ was not only something I loved but something I wanted with my whole being was, in actuality, due to three friends. Three friends who merely performed together and, yet, it was right then and there that I decided that I want to be able to do ‘that thing’ that touches people sitting in an audience chair; for the rest of my life. A Chorus Line had such a profound impact on my life. A show put to music about being in the theatre. A show about what I wanted to do. A show that celebrated the trials and tribulations of being a ‘theatre person’. I wanted, more than anything, to be a ‘theatre person’. As I watched a Chorus Line on Broadway I was riveted at every single line, every single dance step, every note sang, and every single word uttered. The show was so incredible, but that show alone is not what won me over. You see, my whole body was captivated by this musical and I knew that nothing could ever be that good, that moving, that engaging……..ever again. When I was attending Hofstra University, three friends announced that the next number to be performed would be them singing At The Ballet, from the musical, A Chorus Line. What? Are they crazy? That song is perfection, I thought. Why would they even attempt to even try to sing it? It’s a very hard song to sing, harmonize, follow, and pull off. These thoughts raced through my head in an instant. But there they were, Stacy Parker, Nancy Haas, and Karen Waldstein ready to begin the song. No fear on their faces. They glanced at each other, smiled, and the music began. They sang and my life would change forever. Those three magical and heavenly voices have stayed with me, as if it were yesterday, for over 40 years. Lesson number 1; I learned that performance is based upon the confidence to move forward. You have to take what is given and run with it. Now Stacy, Nancy, and Karen may have been scared to death to perform that song but it showed nowhere. Lesson number 2; if you are scared, don’t show it. Do your preparation and run full steam. Lesson number 3; because someone may have done it before you, does not mean you should not try also. Lesson number 4; allow your heart to be touched by any performance. Now when I hear that song, it’s not the three actresses from the Broadway Show that make me smile, it’s the faces of Stacy, Nancy, and Karen singing a song that touched my heart. Were my three colleagues better than the Broadway actresses? That didn’t matter, and it’s not my point (but should you be asking, they were pretty damn close). What mattered was how they touched my heart. That is the picture in my mind. I will forever be in their debt and I thank them from the bottom of my heart. My lesson in theatre is also a lesson in life. Sometimes we are so petrified to ‘try something’ that we stand idle and do nothing at all. Do your homework and go forward, you may be surprised and it very well may be that what you do will be what is remembered. Lilly Announced in a press release that they were reducing the cost of Humolog Insulin by half, bringing the vial cost to $137.35. You can read the release here. Needless to say, the social media world erupted with everything from praise to disdain at the news. Me, well quite honestly, it left me scratching my head with more questions than answers. To be clear, and at the onset, if more people can now afford insulin…..GREAT! Not sure how a vial of insulin costing less elsewhere, and probably everywhere elsewhere, is considered a reduced price at $137.35. I mean I get it if one purchases the insulin here in the United States, the new cost ‘looks’ cheaper. This $137.35 is for those who only pay out-of-pocket and not through insurance plans. Okay—so I ask, what is the real price? Is it REALLY discounted or only discounted to the much over-priced American cost? If those nasty PBMs are not involved, tell us the real cost—-is it anywhere near $137.35? I have no problem with anyone making money. But when something is so precious as life-cannot-continue-without, I’m stating until we know true costs, we have no idea what is real or made up. Was a competitor soon-to-announce lower costs? Was something happening within the industry that what we are seeing today was/is destined to happen anyway? Is there a difference between Insulin Lispro and Humalog? Let’s just not be so quick to give out such credit. Not just yet. To me, it’s either the right price, or it isn’t. I’m not saying that this is not a start, of course it is. You see what I do not believe, is that Lilly is doing this because they care for those who are in need, although to be fair, Lilly is surely doing more than their competitors. Lilly is a business, and they’re answerable to their share holders and if this move was to dramatically impact their stock negatively, it never would have happened, bet on it. What do they know that we don’t. So for now, take the news, but do not be so quick to think it is about us, those impacted most. It’s not. Not sure what it is, but time will surely tell, won’t it? When I see some transparency, and not before, will I believe we will see some real changes. When I see something needed to LIVE, and without it one will perish; nothing short of making that readily available to all will be enough. It’s not how it used to be. Take all of the complex formulas on this nonsense and throw them out the window. One can make money on the cost of Insulin, that is not the problem, but like the pork insulin of yester-years, so many do not have to make pigs of themselves. That is, IF they really cared. My heavens I wish I knew what they knew. Have you ever found yourself saying that to yourself when you’ve seen the conversations occurring on-line? You know, that intimidation when someone says something and you know that you believe the direct opposite on what is being said but heaven forbid you should say anything because of the fear of having to be reprimanded. By who? Someone you’ve never met but are friend s only on FB? How silly do they make you feel? I’ve always gone about caring for our child’s diabetes with a thought process that I know absolutely nothing about diabetes. Now at first glance that may make one think that I would be swayed all around like a garbage bag in an alley on a windy day. But actually the complete opposite occurred. Because if I did not know something, and I heard something; well I would go and find out whether what I heard was correct……or not. I took people’s opinions at only face value until I went and found out……for myself. You do not need to be right on a FB page……..you only need to be right in doing for your child and your child’s management with this disease. What a waste of energy to read as parents ‘go at it’ on a FB thread. To what end? If I read someone’s thoughts that interest me, I find out on my own. I research the answers. Quite a few times in my life, my original thought on a diabetes matter was changed as I learned more. And some times my thoughts changed drastically. Being right in an online discussion…..means……what? But finding out the truth, well if your child wins, what else matters and that’s the payoff.? So the next time two, three, four, or more parents are in a heated discussion over how to do something…..listen and use the internet what it is really good for……research. My friend Jeff has a great saying; ‘show me the data’. If you find the data to be true, it’s a real good start. Who cares about my opinion? When it comes to my child’s diabetes management, I don’t even care about my opinion……..I care about what is truth and what works. The answers are out there, find them, Don’t be intimidated by those who are loud and pushy to just ‘be right’………care for your child the way you know best……your way. And if no one knows it but your child; that’s ok too. 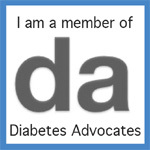 I believe there are many GREAT diabetes organizations out there and I support as many as I can. It’s no secret that mine is the Diabetes Research Institute (DRI) and why my career path has me here for over 15 years. Our kids must stay healthy today. That, there is no question. But the cure is the goal. It is has also been the goal of the DRI since the first day they opened the doors……all the way to today. Hard to keep that focus, and no easy task, but the DRI remains committed, since day one. I still have hope, strong hope, that one day we will get to the cure we search for tirelessly. When? Well not sure and it’s a tall ask but that does not mean we should abandon the hope. Well I choose not to give up that up and I believe the DRI will stay at the forefront of that search. It’s great to believe in an entity that will just NOT GIVE UP either until we get there. My kids deserve that hope. We are not naive, we’ve been at this for some time. But we also know the incredible work that continues that will lead to 5 clinical trials simultaneously in the upcoming months. With that in mind, our walk is coming in March. It is my goal to participate, cane and all, as much as I can. If this column has inspired you in any way, helped you in any way, or ever made you smile please consider donating a little something to our team, Two Too Many. Having two kids with T1D is too much. I want it cured and until then, I’ll keep on swimming toward a cure. Please consider a donation of any amount. Click the link above or here. Below is the press release from Hagens Berman Sobol Shapiro LLP. They are a consumer-rights class-action law firm with 10 offices across the country. They have won quite a few cases in the history of these type cases.The release is below with permission. I spoke to a representative of the Law Firm tonight who stated that it is hoped that during ‘the discovery’ stage as this case moves forward, that practices not in the light today, including the PBMs and those practices, will come to light in full transparency. While Steve Berman (Law Firm Partner) accused the benefit managers of being complicit, he said the lawsuit focused on the drug makers because “they are playing the game, and they are the ones who publish the list price.” (Link is NY times article including the quote) it very well may be that based on what is found in the discovery stage that the PBMS could be added as defendants. Plaintiffs seek monetary relief against defendants in an amount to be determined at trial. Plaintiffs also seek punitive damages because defendants acted wantonly in causing plaintiffs’ and class members’ injuries or with such a conscious indifference to the consequences that malice may be inferred. Plaintiffs also seek an order enjoining defendants’ unfair, unlawful, and/or deceptive practices, attorneys’ fees, and any other just and proper relief ………. Read the release below and after it is a link to the law firm as they are looking for participants in other states to join, as ordered by the court. Have your story heard. NEWARK, N.J. – Today, a federal judge’s opinion has greenlighted a national class-action lawsuit filed against Sanofi, Novo Nordisk and Eli Lilly for their systematic overpricing of insulin and concealment of a behind-the-scenes arrangement orchestrated to hike insulin prices, according to attorneys at Hagens Berman. Hon. Brian R. Martinotti, U.S. District Judge for the District of New Jersey granted in part and denied in part the drug companies’ motion to dismiss the case. The opinion allows state law claims from plaintiffs – people living with diabetes who Eli Lilly, Sanofi and Novo Nordisk have forced to pay skyrocketing insulin prices – and gave attorneys representing them ability to address concerns regarding individual state representation. To the extent the court requires a patient from each state, attorneys say they can and will add clients to satisfy the court’s concerns. The lawsuit states that in recent years, Sanofi, Novo Nordisk and Eli Lilly have raised the sticker or “benchmark” prices on their drugs by more than 150 percent. Some plaintiffs now pay almost $900 dollars per month just to obtain the drugs they need, according to the firm. Hagens Berman filed the first-of-its-kind lawsuit in 2017, detailing several accounts from patients resorting to extreme measures to survive rising insulin prices, including starving themselves to control their blood sugars, under-dosing their insulin, and taking expired insulin. The complaint also detailed how class members having intentionally allowed themselves to slip into diabetic ketoacidosis – a potentially fatal blood syndrome caused by lack of insulin in the body – so that they can obtain insulin samples from hospital emergency rooms. Steve Berman, managing partner and co-founder of Hagens Berman, was named co-lead counsel in the case by Judge Martinotti. “This ruling blows the insulin racket wide open,” he added. Click this link for this press release and scroll to see what other individuals from what states are sought. If you have a story—-now is your chance to tell it. Might it be that we may see this come to an end. Sadly, as this moves through the courts and appeals, many others will die as they ration their insulin, or outright cannot afford it and cannot obtain it. But it is a step. Tick….tick….tick…..the clock is ticking, let’s hope they all do what is right sooner rather than later……..and even sadder, why has it come to this?